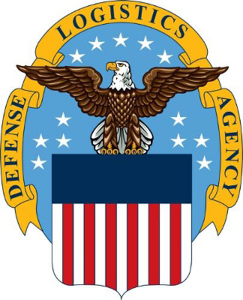 The 2017 DLA Procurement deadlines are rapidly approaching. In an effort to maximize support to our SOE customers, minimize problems with year-end funding and give all ordering activities sufficient time for planning, the following EOFY deadlines are provided. Please note that due to EOY Fiscal and Audit Readiness constraints, the FY17 Funding Receipt Deadline is now September 22, 2017 by 11:59 p.m. EST. The MIPR Modifications and Return of Funds Deadline is August 15, 2017 by 11:59 p.m. EST. All requests for modifications to MIPRs funded with FY17 funds and requests for return of unused FY17 funding must be received in our mailbox (SOEOrders@dla.mil) by this deadline. There is no guarantee that requests received after this deadline will be completed before the end of FY17. All order expected to be funded with FY17 funds must be submitted to SOEorders@dla.mil by the Order Receipt Deadline on September 8, 2017 by 11:59 p.m. EST. Orders received after this deadline will be returned to the submitter with the opportunity to resubmit using FY18 funds. The FY17 Funding Receipt Deadline is September 22, 2017 by 11:59 p.m. EST. All Price Acknowledgment Spreadsheets with the appropriate funding must be sent from the FOPOC to our mailbox (SOEPriceAcknowledge@dla.mil) by this deadline or the order and the funding will be returned to the FOPOC. Learn more about Federal Resources' contracts and procurement.